Technology is evolving every day, with new gadgets releasing at all times. This technology helps us in many ways, making life easier and in many ways safer (unless it is used incorrectly, such as texting while driving). Speaking of driving, a lot of advancements have been made in the driving world to make it safer and to reduce the amount of accidents, and particularly the amount of fatal accidents, that occur. This includes automatic braking, backup cameras, lane sensors, and more. Have you heard about sensor technology for car seats, however? This lesser known technology is becoming a lot more popular as it grabs the attention of more and more parents. So, what is this technology exactly, and why is it necessary? How does it work, and how will it keep your child safer? Let’s discuss. 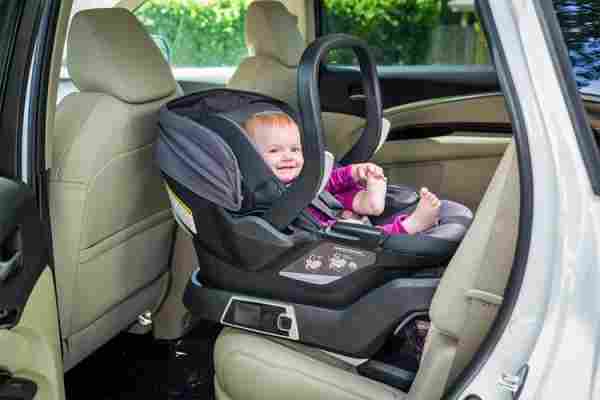 Car seats have evolved tremendously over the years. Not too long ago, children simply sat on laps in the back seat of a car. Today, car seats are packed with safety features and comfort features that give your child the ultimate riding experience. 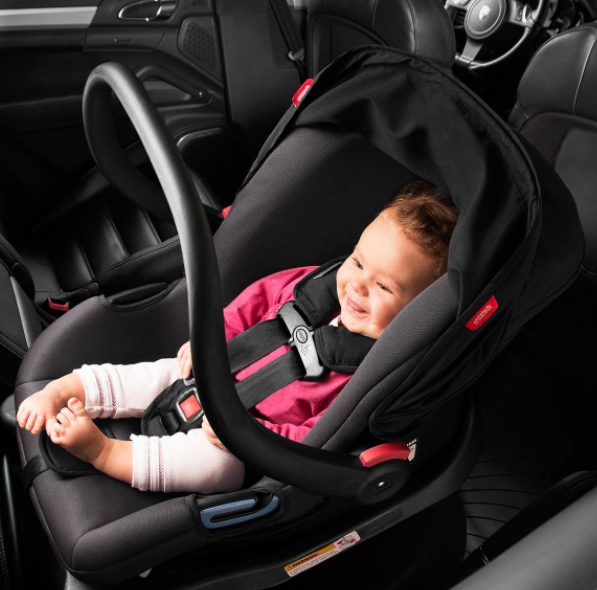 Steel frames, energy absorbing foam, secure harnesses, and more, help keep your child protected in the event of an accident. 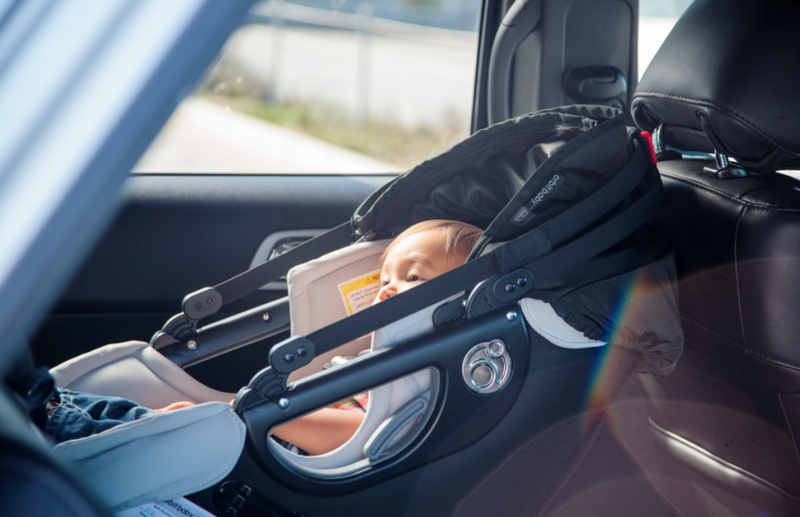 These features help give parents peace of mind while on the road, especially in the event of an accident that is not your fault. You can control your own actions on the road, but sadly, you can’t control everyone else. What about things that are your fault, however? All parents love their children, and that is a given. However, that does not mean that they are immune to mistakes. This is especially true in today’s busy world we live in. Our lives are comprised of endless responsibilities and we are pulled in numerous directions at any given minute. Smartphones keep us connected at all times, and serve as a giant distraction that can sometimes result in a terrible mistake. Everyone is aware today of how dangerous it is to use your cell phone while driving. While some people still make this unfortunate decision, there is plenty of awareness of the danger it can cause while operating a vehicle. However, what is less known is the danger it can cause even when the car is off. We are talking about children getting left behind in a hot vehicle, an unfortunate situation that happens far more than you may realize. While cell phones are not the only cause for leaving a child in a car, it is one of the major reasons why. Cell phones are distracting! You may make the smart decision to put the phone down while driving, but if you pick it up the second you are parked, you may easily forget about everything else that is going on around you- including your child. This is especially true if your child has fallen asleep and isn’t making any noise. This sensor technology typically works by pairing with your smartphone. Your phone will realize that you are driving and subsequently realizes when you have stopped driving and exited your car. An alert to your phone reminds you that there is a child in the car. While this technology is fairly new, there are already several brands out there that have developed this idea. 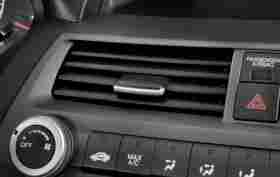 In particular, the company Sense a Life has created a sensor that has a speaker itself that alerts a parent when leaving the car in addition to a smartphone app that will send an alert. If you do not respond to two alerts, your selected emergency contact will be notified. A few car seats have also gotten on board with this sensor technology, building the tech right into the seat itself. Evenflo, for example, has its own line of SensorSafe technology that alerts parents upon arrival that there is a child in the car. This technology alerts parents about other issues as well, such as if a child becomes unbuckled while you are driving. This is particularly great if you have numerous people that drive your car and take your child places. While this technology also features an app integration, it also sends alerts within the car, meaning anyone who is driving will benefit from the safety feature. As this technology is still new, there is still a lot of room for improvement. Additional monitoring factors, such as the temperature of the car, would be incredibly useful as well. Since most of these alerts rely on sound, figuring out an alert that works for people who are hearing impaired is important as well. If you are looking to use this technology now, you do have plenty of options. Based on your lifestyle you can decide if a smart car seat or just an add-on sensor will give you the peace of mind that you need. You may think you would never need this reminder, but is it really worth the risk? This technology was developed not to help out bad parents, but rather as a response to modern life and the struggles that all parents (even the best parents) experience. Parenting is difficult, and there is nothing wrong with using something to help you out and ensure your child will always be safe.